It may not be a trend that suits creators, but the public don't like paying for things as much as they used to. It's the great revolution that the internet has delivered - news is free, lots of video streaming is free or has a lower monthly cost, so as a result gamers want their content for less. There's little point in wringing hands and despairing over the loss of value in creative endeavours - it's the reality, for better and worse. Nintendo, of course, has been adapting to this reality. The common misconception is that the big N is entirely rigid and old-fashioned, refusing to get with the times and still trying to squeeze out profits from old models. That's a lazy and inaccurate perspective, even if the big N shows a little more resistance than other companies at times. While it still places a premium price on retail games, it's taken to expanding those titles with free updates (Splatoon, Super Mario Maker, Splatoon 2, ARMS etc) and adopting extensive paid DLC with others. No franchise is excused from modernisation, whether fans like it or not, with even The Legend of Zelda: Breath of the Wild having its own expansion pass. Perspectives vary on all of this, but considering how prominent and successful games as 'services' are (ie games that keep players engaged long term), it's no surprise that Nintendo is joining in. Let's not forget, either, that Nintendo has dabbled a fair bit in free-to-play on 3DS, Wii U and of course smart devices. Mario and Fire Emblem are on mobile, with Animal Crossing to come and rumours that The Legend of Zelda is next. Nintendo invested money in and benefitted from Pokémon GO, and has shifted attention to expanding its brands through theme parks and merchandise. Nintendo may still cause some to scratch their heads, and may still be strategically cautious at times, but it is adapting to survive and - based on recent Switch sales and share value movement - thrive. 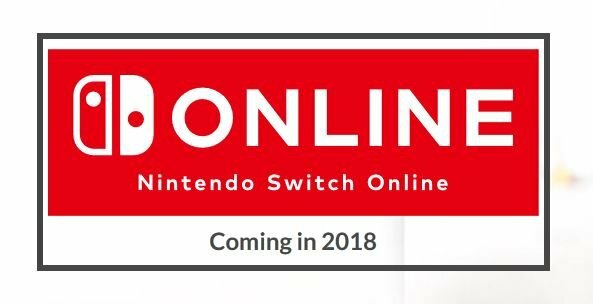 Which brings us to the Nintendo Online Service and, notably, its delay from Fall / Autumn this year into 2018. In reality Switch owners may not lose much - an initial version of the smart device app supporting voice chat and lobbies will still come in a free 'limited' form this Summer (probably alongside Splatoon 2). Beyond that online play will be free for longer, and we'll have to wait before we access retro games from the service. On the downside, that wait is regrettable, but the original offering that we now won't get was rightly panned - on the table was monthly access to one classic NES or SNES game with added online features, before it was to disappear and get replaced by another. It was underwhelming, to put it mildly, and that was pitched at a time when price was still a mystery. Now, however, we know that a year of the service with be $19.99USD, or carry higher rates for shorter-term deals. The key, though, is that subscribers will have ongoing access to 'a compilation of classic titles' that they can download and hang onto for as long as they're paying into the service. Three NES games were confirmed initially, (Super Mario Bros. 3, Balloon Fight and Dr. Mario) but the collection will surely grow. Considering the offering, the 'value' it offers is absolutely relative to the kind of gamer in possession of the Switch; many of us will no doubt love to have old-school classics available (with some online features added) that we can play at home or on the go. It'll be like all those ACA Neo Geo games, but far cheaper and with a Nintendo charm. Of course, like with Sony and Microsoft systems it'll eventually be necessary to subscribe to simply play any games online, so it'll be a modest outlay for the privilege. Whether it is good value over the course of the year will very much depend on the growth of the retro digital 'compilation', and how the 'Nintendo eShop deals' part shapes up. If the offering and paid features look familiar, that's because it's basically the same as PlayStation Plus and Xbox Live Gold, only cheaper and without 'modern' free downloads. Nintendo's updated proposal came, we suspect, as a response to initial fan feedback to the original pitch and after looking at its rivals. Not only do Sony and Microsoft offer pricier options that include a mix of free current-gen games every month, but Microsoft recently launched its Game Pass at $7.99USD a month. Unlike PS Now, which arguably has the downside of streaming the games, the Game Pass lets Xbox owners choose freely from a group of roughly 100 games that they can download onto their hardware. There's debate over whether it's 'worth it' because of the game selection (which will rotate regularly), but it's certainly a disruptive product, blending the Netflix approach with downloads rather than streaming. Nintendo, ultimately, had to go cheaper than its rivals, as the Switch simply does not have the library (and won't have for quite some time) to offer full modern downloads. In limiting its free games to retro initially, Nintendo also ensures it doesn't need to pay out notable royalties or fees to third-parties; in the early days it can churn through its own retro content at limited cost. By opening that Pandora's box, though, Nintendo puts itself in a position where it'll need to re-assess and revolutionise its approach to a prospective Virtual Console; that's a theme we've tackled quite a few times in the last couple of years. In moving with the market to offer 'free' content through a subscription, it then puts pressure on anything else it offers as part of a prospective Virtual Console. The subscription service, in theory, will offer 8- and maybe 16-bit content at a 'free' rate, which is fitting in this post-NES Mini world. Yet even with newer offerings it'll be interesting to see Nintendo's approach, for example if GameCube titles finally arrive. 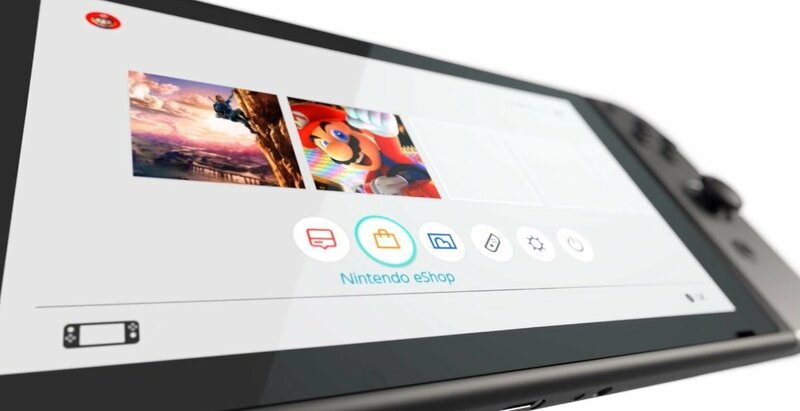 Perhaps the 'eShop Deals' part of the subscription will be a default discount on first-party Virtual Console games, making 'new' VC titles exclusive to the Switch generation a little more tempting in price. Nintendo has kept a premium price on VC games for three generations of hardware, but perhaps the progression of the games industry will draw them into lower prices and incentivised deals through the Online Service and My Nintendo. The fact that batches of games will be included with subscriptions may also open the door to other 'bundles' or compilations, another idea we've floated in the past to shake up how Nintendo sells us retro games. From the NES Mini, to tempting releases like Capcom's Mega Man Legacy Collection and the impact of heavy sales and deals through the likes of Humble Bundle, it's increasingly common for platform holders and publishers to shift some content at bargain rates to win over fans. Again, some may say that's not a 'Nintendo-like' way of doing things, but we've seen the company start to adjust to these realities in various ways. What the Switch offers, at the end of it all, is a way for Nintendo to re-address how it seeks money for old rope. Of course there are expenses to cover in converting ROMS, creating manuals and so on, but ultimately the Virtual Console can be a resource. It can be a source of pleasure and goodwill among Switch owners, and even be a (small) selling point of its own. With the gradual decline of output and buzz of Virtual Console games on Wii U and to an extent 3DS, it's time to shake things up. The Nintendo Switch could deliver the ultimate Virtual Console; here's hoping that reality will take shape in 2018. I just hope it's more than NES and SNES games. N64 and Gamecube please! Yet another way of selling us NES Super Mario Bros. GROAN. I would prefer a physical Switch game card that includes most of the NES games. A NES collection of sorts. I would even pay premium price for it. SNES collection too. Call me old fashioned, but I prefer to own my games. I don't care what and when we'll get these 'free' game (though I'd rather have SNES over NES). Just gimme N64, GC and Wii VC releases already! I'm not big on anything as a service, but in this case, it's the better strategy. Nintendo insisted on calling the Virtual Console a service since it began, and it never really was a service since it was really just another aisle in their download stores. I've been wishing for exactly this for some time so I am now convinced that I must be some kind of wizard. My only questions are that since this is a subscription premium, how is it going to work when internet service isn't available when it's handheld? Nintendo tweeted that the games will be playable "anywhere," so is there a periodic authentication? Will save files from the Classic Game Collection be compatible with Virtual Console since they will theoretically have different enhancements? Will we be able to buy out individual titles from the collection to have once the subscription lapses? The more I've thought about it. The more I like it. What if this leads to $20 a year to play EVERYTHING retro?!! Like if I want a break from online MHXX with voice chat that I'm paying for, I can just jump into all sorts of old CastleVania and Mega Man, rare gems, and 1st party! I honestly don't know what Nintendos deal really is. It's not that hard to put ROMs of games on VC. That and they always drip feed releases, instead of putting out big batches at a time. Continue VC across all 3 (WiiU, 3ds and switch) with the WiiU and 3ds getting complete access to the others VC library and the switch having all available at once with a crossbuy option across all 3 and new VC releases will be simultaneous on all platforms. I'm okay with 8-16 bit offerings only as mostly aged well. As for N64 to GC games, I'd rather have an HD remaster. For Wii and Wii U, either a VC or remaster is fine by me. I think that VC and the CGC will be completely different revenue streams. I can finally see Nintendo catching up with account systems and cloud saves, and when I eventually pay all my upgrade fees for my extensive Wii U and 3DS VC collection to be shipped across to my Switch, this will be the last time I have to do it. The Classic games collection will be a whole different kettle of fish when it eventually launches! I'm with everyone else about the NES and SNES games. I hope they have games we haven't played before and hopefully if the VC is a seperate thing we get some GC games. I'm happy with the price though! FYI - Not sure if it was a coincidence or not, but Mega Man Legacy is currently on sale for $5.99 on PSN on PS4. Fact is that all of us here have extensive experience with the way Nintendo handles their backcatalogue. I don't think there is any rational reason to assume that this new service will see less of a slow drip-feed of titles than previous incarnations of VC saw - subscription or not. That's the first thing to keep in mind: a library worth the name will - with all bout certainty - take years to come together with Nintendo in charge. The second thing, and that is more of a subjective aspect I admit, is that I don't care for yet another way to play my NES games. I understand if people feel different about it, but I for one, don't need it. There are very, very few NES games at this point in time, I still would actually consider playing anymore, not to mention, that I just don't need to own a game half a dozen times over - no matter how good the game, at some point this is just silly. If this were to beyond even SNES territory into N64 and GC games, now that would be a different story. These games I don'T already own several times over, and some of them, I actually missed the first time around, not to mention that quite a few them, I really loved, but never got around to play a 2nd time. Last but not least, as far as managing expectations go, I'd have to say that this is still Nintendo we are talking about. Everything they do comes with an asterik, esp. if it concerns anything in terms of adapting to the 'zeitgeist'. That stuff always ends up being a YES, BUT ... proposition. TL;DR: This is still Nintendo we're talking about, so please ... keep your expectations in check (and also, please remember what their previous concept here was - just for reference where we are coming from). Yeah, I wouldn't mind if those collections make a comeback. Loved those in the PS2 days, but part of that is down to Nintendo charging a lot more than competitors for comparable individual games. But I'm not hating this subscription service. Not my favorite idea, but this is the Netflix generation so it makes sense. On the other hand, I'm pretty sick of Super Mario Bros. (and I am sure I'm not the only one) in every form they could offer up so this initial offering doesn't look so encouraging. @Exy periodic authentification is how it works in PS Plus, so I assume it'll be like this here as well. @Gurtelytis the dual screen platforms (including Wii U to an extent, even if GamePad features weren't omnipresent) seem tricky to emulate on Switch with its single screen and wide rectangle shape. Just explore all possible consoles and bring back the ones from the Wii days absent on Wii U and Adding GameCube and Sega Dreamcast would be an awesome addition to the service! But Nintendo needs to remember that this service doesn't have to be limited to home consoles. There are thousands of computer game classics and of course imo the most important and overlooked category HAS TO BE the VIRTUAL CONSOLE ARCADE where there are also literally thousands of classic games that can be made to be available to us if Nintendo really gets aggressive with this service. I said it the other day- this is Nintendos chance on Switch, for redemption of this service which while adding gba and ds to Wii U, was still a disappointing situation overall mostly due to the snails pace and lack of third party involvement. 🤔🤔third party involvement? Oh yea that's where those thousands of games are out there hanging around locked in treasure chests in companies basements!! Capcom, Konami/Hudson, SEGA, Atari, Midway/Warner bros, Square/Taito, Activision, Data East, Namco, intellivision, colecovision, Kemco, Irem, Technosoft, wolfteam, telenet Japan, stern electronics, Lucas arts, EA, Sunsoft, codemasters, Disney, thq, compile, technosJapan, and sooo many others. But again Nintendo has to be aggressive and reach out to these guys!! You can do it Nintendo so get in gear! IT CAN BE DONE!! The emulation quality must improve first. So far Nintendo has yet to design an emulator as good as the ones available on the internet. N64 emulation should include widescreen, hd resolutions, anti aliasong, and texture filtering. GameCube games should be remastered. We already have Dolphin for GC and Wii games. Nothing Nintendo would make could rival Dolphin. It's not too much money but I'm still feeling pretty underwhelmed at the moment. The games that will be available, certainly for the first 4-6 months of service, will probably nothing too special. YAWN. Come on Nintendo wow us already! @GoldenGamer88 GameCube games are a stretch without analog triggers, but Wii games are essentially impossible without an IR pointer. The games would have to be entirely rewritten to support Switch pointer controls. @Gurtelytis 3DS, DS and Wii U games are impossible on Switch without a second screen. I just hope we aren't really talking a case where preliminary customer complaints "won", especially to the point of shooting ourselves in the foot with the future prospects of VC's separate offerings and the previously discussed possibility of online multiplayer in NES/SNES titles. I've yet to be convinced that Nintendo really has a clue how to do all this retro stuff right, be it the Classic Game Selection or the Virtual Console, but I guess we'll know in the not too distant future. . . .
@thesilverbrick World of Goo plays perfectly on Switch so Wii pointer controls in other games shouldn't be an issue.It might mean a lot of games will only be playable with the console docked though.World of Goo was able to replace them with touchscreen controls when playing in handheld but that would't work for something like Mario Galaxy. @thesilverbrick Not entirely: Many Wii U games don't really need the second screen--that's probably true of a bunch of 3DS games as well--and with DS/3DS games they might be able to simple show both screen on the single large Switch screen in many cases. 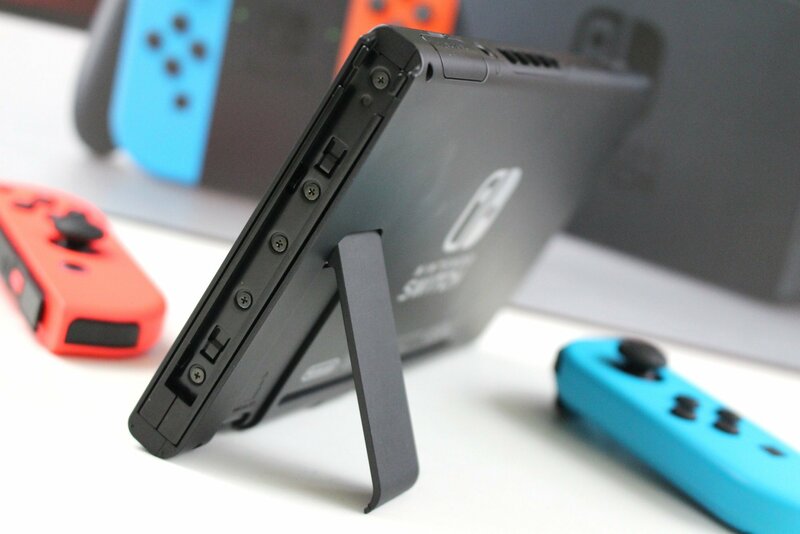 The Switch even has touch so it would be able to mimic that aspect of the DS/3DS pretty effectively (maybe not for precise drawing-type stuff but anything that just requires a quick touch or swipe and that kind of thing). @LeRaposa considering its ability to buy Wii games on eShop, perhaps. But outside Wii eShop? And in the case of emulators found on the internet? Nintendo allows modern gamers to own the games and play them legally without giving an arm and a leg for increasingly vintage cartridges (even DS games can cost a pretty penny nowadays - people complain about full prices for actual official remasters and new facelifts like USF2, but you can get charged 60+ bucks for the original Pokemon Diamond on Amazon!). A chance to buy retro games without being an arduous and rich physical media collector is worth a good bit if you ask me. I only really care about getting N64, GC, and Wii games through VC (and Wii U, but it's unreasonable to expect Nintendo to be capable of emulating Wii U games RN). I'm fine with whatever lets me download those games at a reasonable cost. eShop discounts? Not like the MyNintendo ones I hope! The retro netflix style thing needs to be executed well, as does the lobby thing. Don't care about voice chat that much personally. I disagree, and often wonder if it's Nintendo that is sometimes lazy. @thesilverbrick GC will indeed be an issue without analog triggers, though, considering the huge demand for a GC VC, Nintendo is at least aware of it, which is the first step in finding a solution to that issue (though child me always pressed the triggers down all the way and got through all GC games I've ever played fine). Figured the Joy-Cons could function as Wiimote and Nunchuk given the built-in gyroscopic features and the right Joy-Con being able to function as a pointer (for playing touchscreen games docked). After closer expection, the latter is rather limited in usability, as it seems to struggle with fast movement and button presses (when you e.g. shoot). So I guess the solution might not be as good as I initially believed. Ah well, I'd just be glad to see the beginning of Switch's VC in whatever form it takes sooner rather than 2018 when paid online begins. However, a VC launch with multiple supported consoles rather than just NES classics and a few SNES would be awesome. I would like at the very least- nes and snes games. Most of the nes games haven't aged well. And if in a future update n64 games come, it will be all the more better. @impurekind Whether or not you think most Wii U games need the second screen, the simple fact is that they're all programmed and coded for two screens. Sure, they could change the games fundamentally at the coding level to not require two screens, but we're not talking about modified ports here; we're talking about straight-up emulation through the Virtual Console. So unless they plan on remastering and reprogramming these games like they did with Mario Kart, we will not be seeing them on any Virtual Console service. @OorWullie And World of Goo is not an emulated Wii game. It was totally reconfigured to run as a port on the Switch. Virtual Console titles are emulated versions of the original source software. To get Wii games running on a console without an IR sensor would require a lot of work in reprogramming them from the ground up to run with a motion-controlled pointer instead of one that uses the sensor bar. We're talking about a complete overhaul from the ground up for each and every Wii game. And at that point, not only would it be far too much work, they couldn't rightly be called Virtual Console games, because they are not ROMs of the original software. Yet another way to buy those old games, but this time with an actual addition (online play) to make it compete with the older iterations. Of course this won't work well for everything (Super Mario Bros), but I'd love to eventually see some online Contra or Jackal or Guerilla War, third parties willing of course. Honestly, I don't mind the fee and don't expect much. Yeah, I'm part of the "problem," but if enough people buy into it, then the market's spoken and the service will remain in place. Whether some people here like that or not, that's how capitalism works. You're more than free not to buy into the paid online service, as I'm entitled to buy into it. @thesilverbrick You're right,I didn't think about it like that.Personally I don't really care if Wii/Wii U games never make it to Switch.I've played nearly everything I wanted to play on both consoles and I still have both consoles there if I want to revisit any of them.Remastered Wii games I'd definitely be interested in though or in some cases,ports of Wii U games with some extras added like MK8D.I never got around to playing Skyward Sword so I'd love to see a remastered version of that.Both Galaxy games remastered would be very welcome too,I'd love to revisit those in HD.As for Gamecube,I do hope that arrives in VC form.I'm sure Nintendo can find a way to get around the missing analogue triggers without too much work.A combination of a trigger push and gyro could be a solution.That might not be suitable solution for say a driving game that heavily relies on analogue but it could work for something like Mario Sunshine.Plus there was many games that didn't use them at all. If the games are worth it then sell that as a subscription service. Using ransomware for a subscription servers is just bad. I can't wait. I've been wanting to play these old games against random people online forever. $20 for a year is not too bad, but I'll need to keep an eye on what games are offered. I'm not all that interested in playing these online, and I own multiple copies of just about anything I could want on NES. Between the original cartridges, Virtual Console, or ports, I'm not sure I need another way to play NES games. What would sell me though, would be how big the library is, and how well they look on an HD TV. @IronMan28 Agreed. Incidentally, I read all your comments with Larry David's voice! It seems like it will have an even less library then the Wii U for Virtual Console titles. The internet itself for the Switch doesn't seem good enough to warrant a payment plan. I'd be willing to pay more for their subscription if they expanded beyond NES, although I guess they want to keep it affordable for people that just want modern online, but it would be cool if you could pay separately for subscriptions to catalogs for each of their systems. I feel like the complaints are sort of invalid. This is a third the price of the competitors and while Nintendo is bad at online, that is what you would be paying for. The free games and deals are just the extra wiggle on the worm they are already fishing with. Biggest problem is the drip feed. Wii VC started with 3 games/month before slowing to 1 or none. I would prefer them offer a service and just dump all their backcatalog on it now and seperate this from online fee. If they keep releasing 3 games a month they won't release anything that hasn't been released during the Switch lifetime. The stupid thing about this is that proper online gameplay is going to be locked behind a combination of paywall and phone app. What if you want to play online, but don't want to opt into the retro games? (Which will probably not be handled any better than VC efforts of the past.) What if you want to utilize a superior wired internet connection and matchmaking service instead of a slower and more unstable wireless connection? @GameOtaku There are actually some very good reasons for the drip feed, unfortunately. One is licensing on third party content-- which is always going to be a limited time thing. Usually in these cases, 5-7 years. Then you have the fact that if you dump too much choice on people, a lot of the choices are going to end up ignored because there's too much to go through. When they drip-feed releases, people tend to give a longer look at stuff they would never buy as long as there's a "superior choice" at hand. This combines with the fact that they started the VC from the beginning all over again instead of carrying over all the existing titles (due to licensing them only for the Wii; they probably never intended to do a new console in the future with VC when the Wii came out) and creates the massive consumer headache that the VC has been. @cleveland124 It was 3 games per week, very consistently. I figure the $20.00 USD a year will help maintain servers and help keep everything running smooth. I look at the games as icing on the cake. “The Classic Game Collection, compared to the [Virtual Console], differs insofar that the purpose is to add new feature(s) for the software. So it sounds like VC will still arrive in some form,hopefully before 2018. The initial plan was obviously to disappoint players so they'd get hyperbolic about the new plan. It's classic marketing technique! The key is whether Nintendo deliver. They'd need almost the entire NES Mini collection to start with, and then keep building on that. @Exy Yes. Your system will know when your subscription expires and any games downloaded will disappear from that expiration date. You don't need to be online to play them. However Nintendo proceeds, I want to see more systems covered. Gamecube, for example. Ideally, a rotation of classic games through the online service with the option to keep any of them forever with a separate fee. Im still wishing for them to install a tournament and playoff modes for this service so that you could set up your own Nintendo world championship tournaments online. I would go full retro then. Personally, I'm still waiting for themes on my Nintendo Switch. A lot of the virtual console stuff goes over my head. I have no interest in past games as - I have them. I can play them at any time because I don't sell my games or consoles that I've bought. And in most cases, tend to steer clear of re-purchasing games I've had before. However, if Gamecube games do come to Switch' Virtual Console, and third party games are considered - I'll jump at the chance to have Phantasy Star Online Episode 1 & 2 on my Switch. Because I have that game on my Xbox and didn't get to play it online very much as a kid. If it got re-released on Switch, I'd totally double dip because that game is worth way more than its weight in gold! Consider it for me, Nintendo! Got bored of waiting. Hacked Wii U. Emulation heaven. I have a bad feeling we won't be seeing virtual console for a long time. Since people expect handouts for free, they're going to do exactly what Sony did when they overpromised crossbuy- they're simply not going to release a single VC game that was on any of their other platforms... that's what happens. Don't even get the option to buy it. Ughhh... which means I'm probably gonna be stuck with Super Mario Brothers on the NES for Switch. Im with @electrolite77 here. I have my GameCube/Wii on Wii U (and a full library of actual VC). Would've preferred to have the games on Switch but, I've got em and that's what matters. I'm not overly interested in most online and retro games, but this service sounds great to me... it will allow me access to any of the features I need when I need them without being too expensive (when it was first announced, I was concerned it would be around £5 per month, which was a little off-putting), and if the discounts are good, then I'll basically get some of my money back through that. 'The common misconception is that the big N is entirely rigid and old-fashioned,' this is my hardest obstacle when talking to my friends about Nintendo. They all want to play the games I play - like splatoon, monster hunter, and soon arms. But they all want voice chat whilst playing something they rate as a modern requirement in today's gaming. After seeing the awful mess of the voice chat element on the switch which is a massive step back from the voice chat on the Wii u. Thier reacation is to laugh at nintendo and quote the above sentance and go off about how stuck in the dark ages they are around online gaming and voice chat. For what would have been 4 switch purchases they now won't purchase. Just based on this awful voice chat set up. ( phone+charger+jack hub+switch+3 jack leads+headphones) all seems a over complicated way to chat on line. "Nintendo, of course, hasn't been adapting to this reality. The common perception is that the big N is entirely rigid and old-fashioned, refusing to get with the times and still trying to squeeze out profits from old models. That's a true and accurate perspective, the big N shows a lot more resistance than other companies at times." Here are my thoughts on what this will all be as posted in the forums. "Nintendo Switch Online subscribers will have ongoing access to a library of classic games with added online play. Users can play as many of the games as they want, as often as they like, as long as they have an active subscription. Nintendo Switch Online subscribers will be able to play a wide variety of classic games, including Super Mario Bros. 3, Balloon Fight and Dr. Mario. More games will be announced at a later date. At launch the classic game library will include NES games. Super NES games continue to be under consideration, but we have nothing further to announce at this time." I think your €20 a year gets you your online play access to new games and then access to a library of NES games that have been tweaked so they can be played online. Nintendo at no point has mentioned Virtual Console and deliberately so. I'd say that it will be separate from this and you'll still be able to buy them in the traditional way. What previous consoles we'll have access to I don't know but I'd imagine up to and including Gamecube. If HAMSTER can fart out SNES games every other week no problem then surely Nintendo an billion dollar organisation and who made these platforms should have no problem. So this may be Nintendo getting the good and the bad out of the way yesterday and then at E3 they'll announce the Virtual Console which will be coming out soon and not next year. Given that Nintendo changed their stance from offering a monthly NES/SNES game rental service to a Netflix-esque "play NES/SNES games as long as you're subscribed" service due to the overwhelmingly negative feedback against the former service model, I think it will only be a matter of time before Nintendo offers the voice chat/lobby app on the Switch itself, removing the need for a smartdevice. Once that happens, I think this would be the "perfect" $20 online service. Granted, I'd love if everything was completely free, but for $20 and with the proposed changes from above, the value ain't too bad. @thesilverbrick I agree, but it's still technically possible to put some of the games on the system, even with only one screen. And, with the DS/3DS stuff even more so. @impurekind I'd say that whilst it's technically "possible" there's no chance that Nintendo will do that. It was technically possible to natively run GBA games on 3DS (that's what the ambassador games were - they weren't running under emulation) but Nintendo never offered them for sale because of the compromises that entailed. Even with SNES on 3DS - technically it was possible with the odd dropped frame but Nintendo wasn't willing to do it until the release of the more powerful New 3DS that gave a better overall experience. I look forward to Nintendo's subscription service and the VC. Just wish they'd get here faster, but they don't expect everyone to run out and get a Switch until the holiday season and don't want to charge for online play until after everyone is nightmarishly addicted to Splatoon2, Arms, and Mario Kart 8 Deluxe. Makes sense to me. @StuTwo Yeah, I agree: The odds of Nintendo actually doing it are close to nil. I also agree about the Wii U NES emulator too; it was a pile of crap. Man, Nintendo really has dropped the ball on what could have been a game-changing services and USP of its systems. It started off great on Wii but rather than get better with each new console it just go worse. Who knows what it's going to be like on the Switch, but the expectations aren't high, sadly. 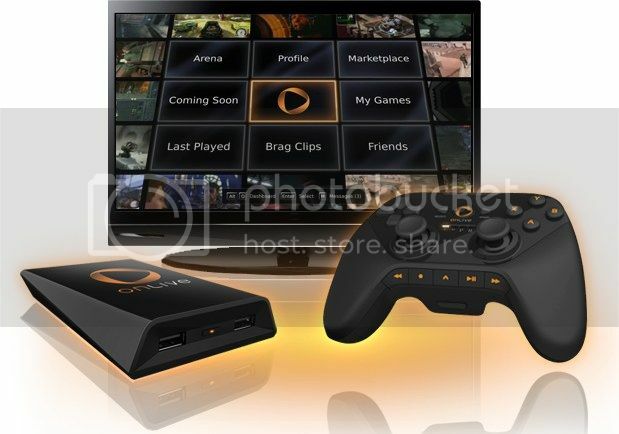 @Meaty-cheeky Onlive died a miserable death. It served as a fair warning to all those who would try to create an all-digital console. It works for PC, but not for consoles. I want a robust Virtual Console on the Switch with more than just NES/SNES games. They're great, but I want N64 and GCN too. There's plenty of games on those two retro consoles I've missed out on, I want Nintendo to finally address that and expand upon the N64 titles already available on the Wii VC and to finally add GCN support. @PlywoodStick well it would still be interesting if there was an Onlive aspect applied to the virtual Console. I'm a bit unsure why there would need to be so much (re)development, after all the Dolphin emulator seems to be able to run many Gamecube/Wii games, not perfectly - but then NIntendo's VC is hardly perfect! Perhaps Nintendo should just buy up Dolphin, then get that running on the Switch, problem solved! I'm getting fed up of seeing weekly NeoGeo releases on the Switch. Nintendo should by now have figured out how to get at least some past Nintendo games on its own console, and at a much better rate than the Wii & WiiU! @Captain_Gonru "Did they actually say that this and VC were going to be one and the same?" I actually made that comment in the original thread. It was post #195 so I can't be mad at you for missing it. Oh what the heck, copy and paste is easy enough. "There is nothing good about this delay." So, are you saying it would be better if they didn't delay it and started charging people for a broken online experience? I'll agree w/ you that it's bad if Ntinedo can't get online to work, and we've all known since the beginning needing a smart device for voice chat is just plain indefensible stupid, but we already knew that Nintnedo is incompetent and does stupid stuff. This announcement is good b/c they are being up front about it. And besides, you, and I believe several others, are reading this wrong. Online does work on the Switch. MK8D IS online. ARMS and Splatoon 2 WILL BE online. Their online works. All they are doing is delaying the "PAID" part. That's how I'm reading it anyway. They said the voice chat app will be coming this summer. And why did everyone in this thread jump to the conclusion that VC will be delayed? I couldn't reply to every single person, all 200 comments, asking them why they thought VC would be delayed bc/ of this, but I dont' see it being related. The paid rental NES games and online is delayed, but they can start selling VC games tomorrow if they want. I think I read this announcement very differently than you did. I think that covers it. Though for the record I could be wrong, it's Ntinedo. I'm still getting over the lack of a Netflix app. I like watching Netlfix on any console I'm playing on, X1, PS3, PS4, Wii U. Just turn off my game and start watching. Switch would be the first where I'd have to turn it off and then decide which other console to turn on to watch Netlfix. Too much work. Yesterday I replaced my power strip - b/c 8 sockets wasn't enough somehow I needed 10 - what a disaster. I forgot to turn them all "off", left them in sleep mode, and hooked them all up to a router/access point which I forgot the password. Took hours. I think they are all working now though, 65Mbps. Oh and my kid needed me to hook the thumbdrive back up to the Wii U for SSB online play w/ his friend, who he wasn't Wii U friends with. Never did get that working. @rjejr What are Nintendo saying about the VC, any release dates or even any comments promising that it's still coming eventually? @rjejr Well I don't think Nitneod is saying anything about Switch VC, but Nintnedo rarely says anything about anything. The last important thing Nitnedo said about VC was that Wii U was getting Gamecube VC, it was even on the Wii U webpage, but it never did. That's what you get a lot of the time with Ntinedo, either they don't say anything, or when they do say something they lie. I think Switch VC will be announced at E3. Not just this rental subscription program, but actual games to buy. Of course it's also possible they are holding off on "VC" b/c they want to see how many games they can remake in HD and sell for $40 or $50 like WW HD and TP HD. And MK8D and Zelda BotW (both Wii U ports) and a probably port of SSB4. Why sell something for $8 or $10 when you can sell it for so much more w/ a new coat of paint? 1 more week until E3. Surely something will be said about something. @MagicEmperor Thanks very much. I'll reiterate that I feel the pricing is reasonable. And lol, that was my intent with using him as my avatar. He cracks me up, I can't wait for season 9 of Curb! @Meaty-cheeky After having played thousands of hours of MMO's... I feel like it's better to have ownership of the games you purchase whenever possible. Playstation Plus offers PS4 games. Nintendo offer NES games but may consider SNES on future. Really Nintendo? Thats pathetic. We already bought these really old and dated games 2 or 3 times. You milked nostalgia several times already. Give Gamecube/Wii games for free already.